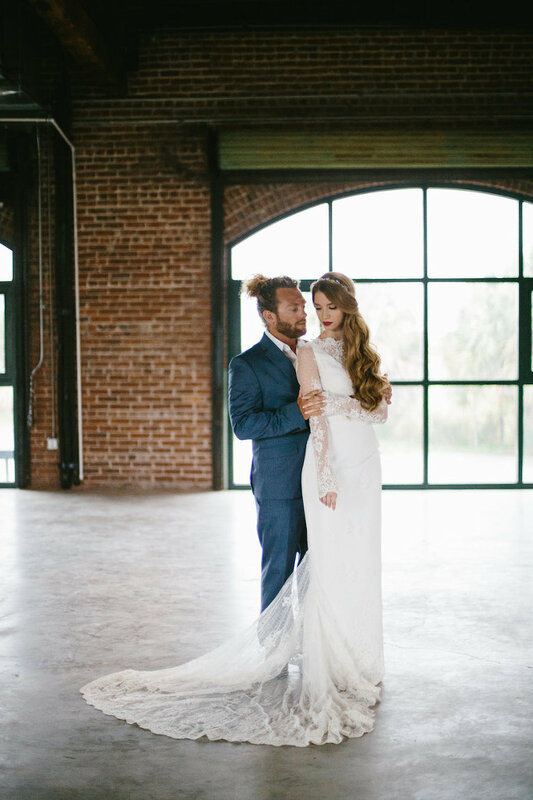 For the couple dreaming of a non-traditional wedding and wanting to incorporate their style and charm, this bohemian inspired Tampa Bay wedding styled shoot sets the stage for romance and modern design. The bride was the epitome of bohemian glamour, swept away in a whimsical and romantic long-sleeve lace wedding gown from Tampa Bay wedding dress boutique Isabel O’Neil Bridal Collection. 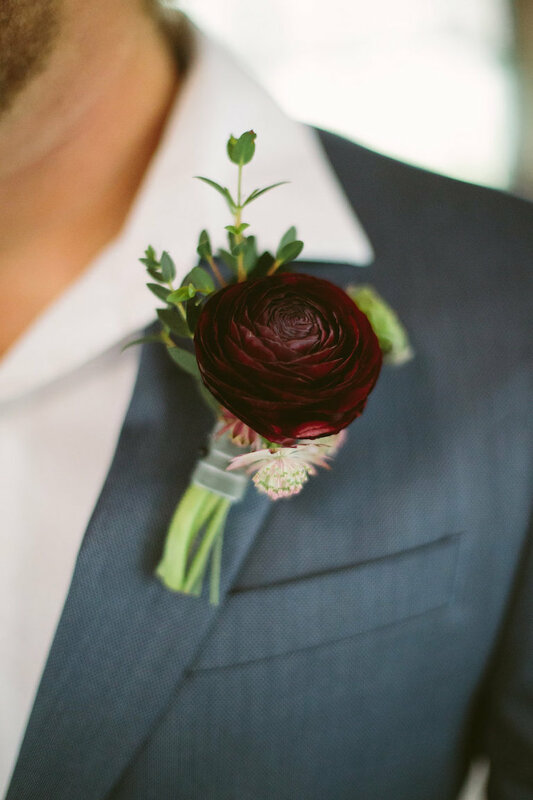 A vibrant bouquet allowed the bride to keep her beauty simplified with soft curls and minimal jewelry and focused the attention on her figure flattering gown. 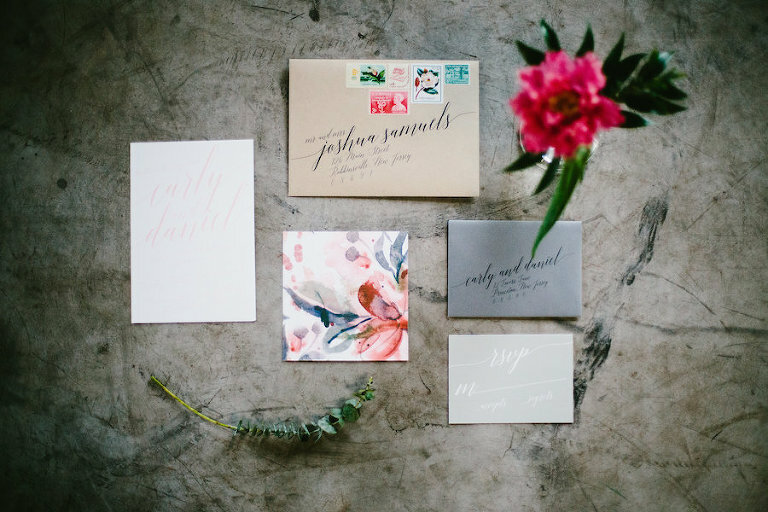 Tampa Bay wedding planner Amy Kladis, owner of Glitz Events, received the inspiration for this styled shoot from an unsuspecting place, a photograph. Modern boho romance. We wanted to update this look with the edgy/artsy feel that St. Pete gives. Grey and neutrals with pops of a deep purple and pink. 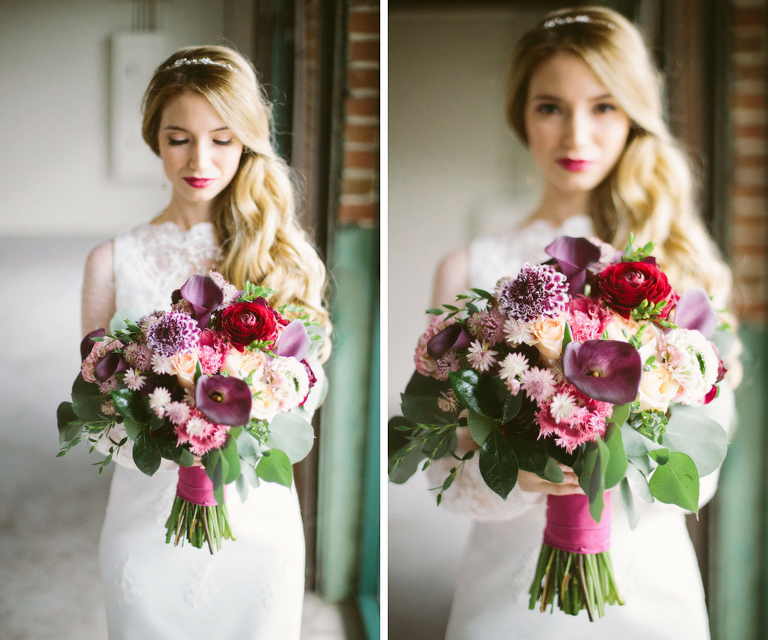 This shoot shows how to mix a fall color with a spring color to use it for any season.